An engagement is a special, romantic time in a couple's relationship, and close family and friends may wish to celebrate the event with announcements, a party, or engagement gifts. While these gifts aren't the same as wedding presents, there are plenty of ideas for items that newly engaged couples may appreciate. Specialty items with the couple's names and/or photos imprinted on them, such as tote bags, mugs, etc. Framed poem or verse that expresses lovely sentiments about the couple. Engagement gifts are not required and should never be expected, even from parents and close friends. Keep the following guidelines in mind. Engagement presents are not required, even if an engagement party is thrown. 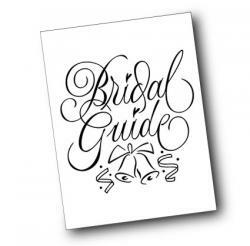 Giving a gift should not be a requirement to receive a wedding invitation. If given, the gift should not take the place of a wedding gift. 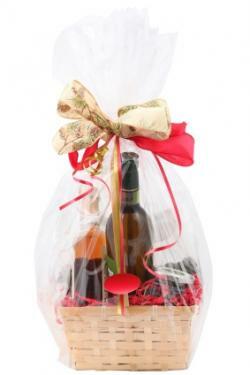 If given, gifts should be offered soon after the engagement announcement or may be brought to an engagement party. If the engagement period is short and the couple has already registered for wedding gifts, it may be wiser to give wedding gifts rather than doubling up with engagement ones as well. Those wishing to give a gift, however, may want to consider that most couples do not receive everything from their wedding registry, and the extra thought will be appreciated. 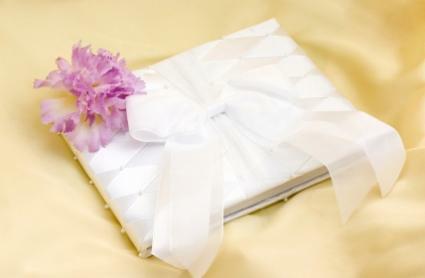 It is not appropriate to register for gifts for an engagement; registries are exclusively for wedding gifts. Couples should never hint at gifts. (This means no enclosures in invitations to engagement parties, mention of a wedding registry on engagement announcements, etc.). Thank you notes are necessary as soon as possible after the gift is received. If the engagement is broken, gifts must be returned promptly - including the monetary value of tickets or certificates. While engagement gifts should never be expected nor required, they are fine tokens of celebration to honor the happy couple. Generally, only people very close to the couple - and the couple themselves - will give them, as most relatives and friends anticipate upcoming wedding gifts. The bride and groom-to-be will often exchange gifts to commemorate their engagement. While the bride has received an engagement ring, she may wish to find a suitable token of her commitment to give her soon-to-be husband, such as a nice watch, tie tack, or even his own engagement ring. The groom may give the bride additional jewelry (perhaps something she will wear at the wedding, particularly an heirloom from his family) or something associated with her ring, such as a jewelry box or matching diamond earrings. Naturally, both sets of parents are the people closest to the impending nuptials, and they will often offer gifts to the happy couple. They often choose sentimental heirlooms, practical wedding-planning items, or perhaps the first items that will grace the couple's new home as they begin their life together. It is less common for friends and relatives to give gifts, particularly if their relationship to the couple is more casual than close. A simple gift, such as a thoughtful card or dinner gift certificate, or something funny that will give the couple a laugh, may be offered in celebration. What is an appropriate gift for one couple may be entirely inappropriate for another. Keep this in mind before choosing an engagement gift since it is important to understand what would work for that individual pair of soon-to-be-newlyweds. Here are a few thoughts to consider when choosing the gift. Togetherness: An appropriate gift is something the couple can share together, whether it is a practical item or a luxurious indulgence. This also means that both individuals will enjoy the gift, not that one person will enjoy it immediately while the other learns to do so because it is part of their betrothed's hobbies. 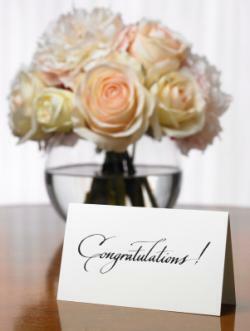 Celebration: An appropriate gift will celebrate the couple and the union they are about to form. While extremely practical gifts may be useful, they are not always as celebratory as something more fun and enjoyable. Well-Meant Intention: A simple heartfelt congratulations or a greeting card can be just as meaningful and appreciated as a wrapped package. When two families are about to blend together through a new set of nuptials, it is no surprise that there can be conflicts in expectations and assumptions. These conflicts can lead to inappropriate gifts that may be awkward, offensive, and embarrassing, particularly if the gift-givers are not well acquainted with the couple. To avoid inappropriate gifts, do not give items that may seem to force a couple toward particular beliefs, customs, or lifestyles. This includes family planning items and religious materials, unless you're absolutely sure such gifts would be appropriate for both members of the couple. Different families have different customs regarding gifts for newly engaged couples. Some families consider it a necessity, while others are wholly unfamiliar with the practice. How the couple handles the concept of engagement gifts may be their first experience with compromising between their two families, and it can serve as good practice for the inevitable issues that arise during wedding planning. The most important thing for the couple to remember is that this is a period in their relationship worth celebrating, with or without gifts, and hopefully it will lead to a long and happy life together.